Everyone takes to the streets with water guns and buckets filled with icy water to throw over each other – Trust me, if you step outside during Songkran, you’re going to get wet! Armed with a bin bag covering my camera (actually an Op Tech Rain-Sleeve) we hit the streets for a thorough dousing! I’d love to know which is your favourite Songkran snap! Mine is probably the little boy hiding under his bucket! Eloise taking one for the team! 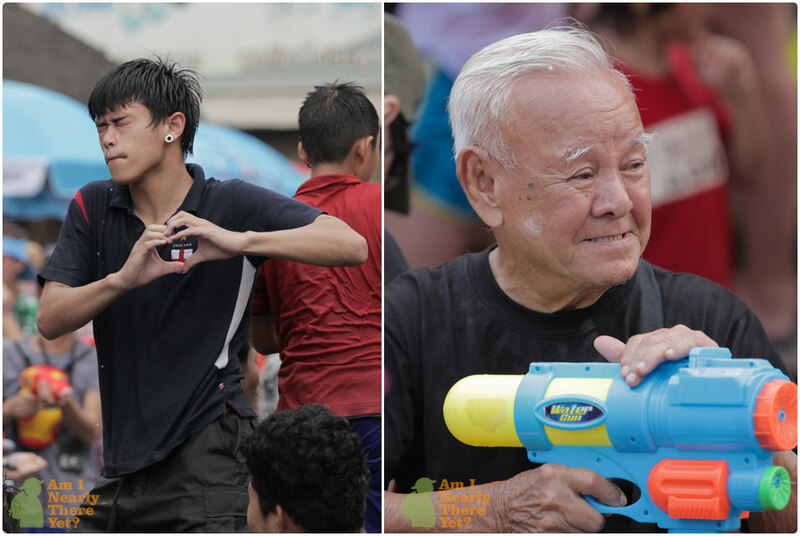 Young and old getting fully involved with Songkran! My favorite is the one of the elder man. Really great photos, the boy with the bucket is priceless! I missed not being in Thailand for Songkran this year, especially after being there for the last 2. 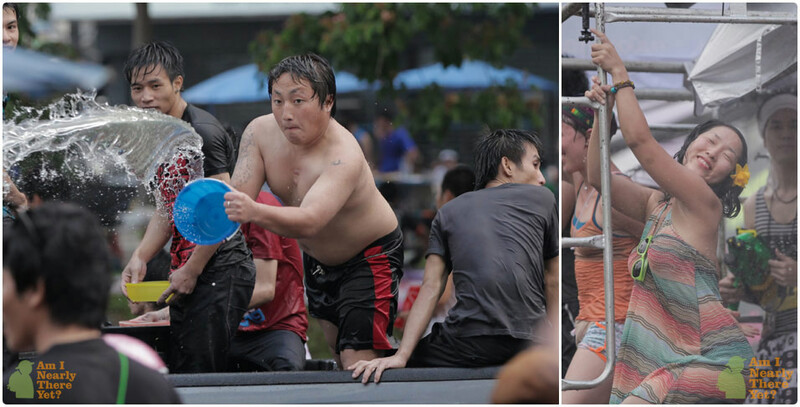 Its such an awesome party, I mean, where else in the world does everyone stop to have a massive water fight? I know Simon, it’s amazing! We really didn’t know what to expect at all, and when all the main roads around Chiang Mai were closed off we should have known it was going to be major! Where did you spend it the past two years? We’re leaving CM soon, really don’t want to! These are so great!! I saw in that picture it looked like you had a waterproof camera. Was it just a casing for it? haha good thing you have one!! It looks like you had a fantastic time! Thanks Beth! Songkran is sooo much fun! Definitely a must if you’re in Thailand – not that you’ll be able to avoid it! We’ve got a GoPro, a little waterproof video camera (the pic of Eloise being blasted in the face), and I took the Op-Tech cover to go on my SLR – It’s like a massive sleeve that you strap to the camera, then I taped my hand to it to stop any rouge dribbles getting in there!